Starting 2014 and over a period of two years, Bryony Dunne — an Irish visual artist and filmmaker — spent many Friday mornings at the Giza Zoo, taking pictures of the park’s antiquated cages, eerie grottos, eager visitors and fallen seeds. She had just moved to Cairo (where she lived from 2013 before relocating to Athens in 2018) and was keen to acquaint her camera with this massive, unruly city. But the zoo meant more to the artist than an image-playground: she also found in it an undeniably compelling social setting. As one of the largest green areas in a city strikingly lacking in public space, it draws millions every year — from large, boisterous crowds on weekends and holidays to young couples in search of private, somewhat scenic strolls. In keeping with her proven interest in the legacies of colonialism, it’s the zoo’s complex historical legacy that gripped Dunne’s interest the most. It was built under British occupation at the tail end of the 19th century, at a time when the city became imbued with spatial imprints of Egypt’s colonial encounter, with downtown Cairo as the most memorable example. On her frequent visits to the zoo, the artist found herself crouching down and collecting seeds that the surrounding trees had shed in abundance — none of which, she discovered, were native to Egypt. They came via the Suez Canal — which opened almost 150 years ago — from India, Brazil, Madagascar, the Malay Peninsula, etc. As part of a recent project, Seeds from the Zoo, Dunne decided to reinterpret these foreign seeds. The resulting work appeared in My Dear Friends, an exhibition at Depo Istanbul, an art space located in a former tobacco warehouse in the heart of the Turkish city. 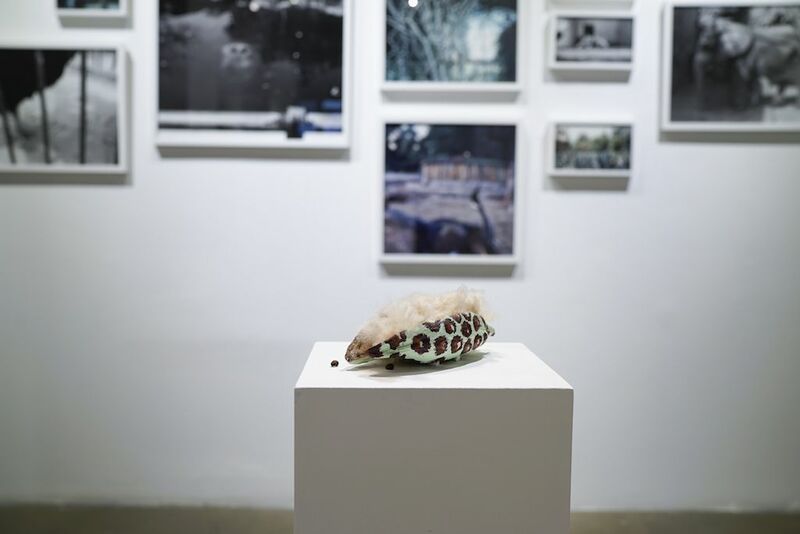 The show, curated by Deniz Kirkali, presents photographs and video installations that Dunne produced with the Giza Zoo as a key subject — some of which were shown in Cairo over the past couple of years, including at The Townhouse Gallery and Medrar Gallery for Contemporary Art. The joint exhibition also features work by Egyptian photographer Roger Anis, including a series of portraits that captures the relationship between the animals of the Giza Zoo and their keepers. 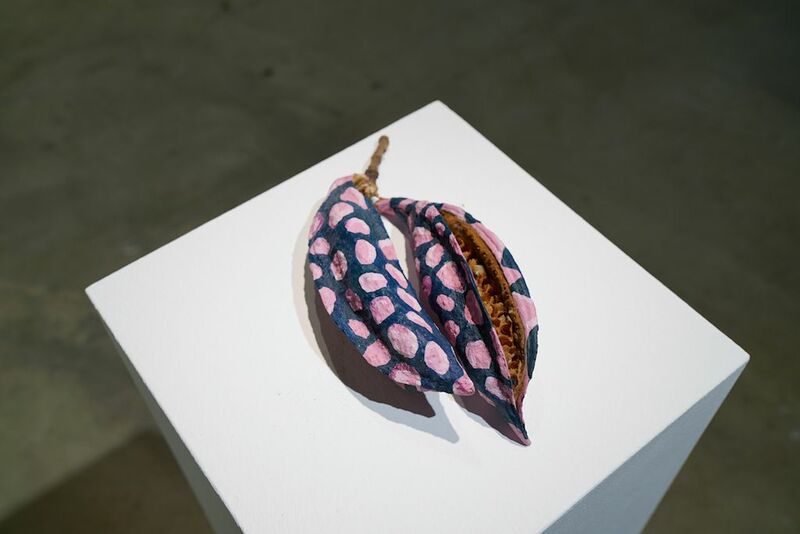 In Seeds from the Zoo, Dunne depicts animal skin patterns directly on the surfaces of seedpods, in effect subverting their original form. Her carefully painted pods are, like much of her work, quite cunning. The almost-hypnotizing animal patterns are painted, occasionally, in unlikely colors, like navy blue or pistachio green. Looking at the objects, you briefly wonder if they were the result of an arts and crafts class. But the exactitude of these prints emphasizes that someone has placed these marks there, intentionally, maybe even tenderly. It looks as if animals had loaned parts of their exteriors to these overlooked pods. Yet this new texture is so far removed from the vivacity of an animal; the pod-animals are fixed, manicured, lifeless. The effect is a certain surreality and disorientation. “The images suggest a complete disconnect, a sense of meditative disengagement that usually comes with myth,” writer and curator Sara El Adl reflected in a publication documenting Dunne’s project. This gesture by Dunne can be viewed as an act of creative revisionism. 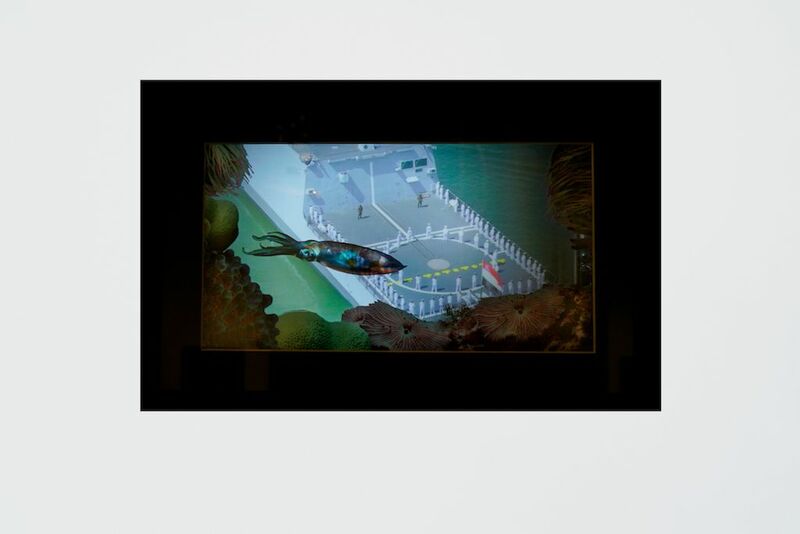 In other words, by challenging the “original” forms of both seeds and animals, she invites a reflection on the zoo’s own history of superimposition. The site had been, after all, a sort of exhibition of colonial wealth, and the hegemony that had been forged and perpetuated in the political, legal, economic and cultural realms also spread to the natural world. 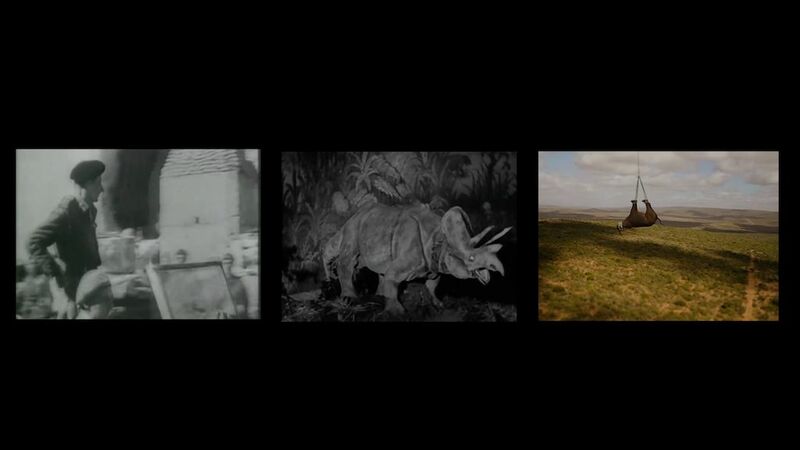 The artist found that with its host of non-native trees and animal species, the zoo could, in a sense, be encountered as a living colonial archive. Imagine entering an archive, picking up a weathered photograph or map, and brazenly painting across its surface. 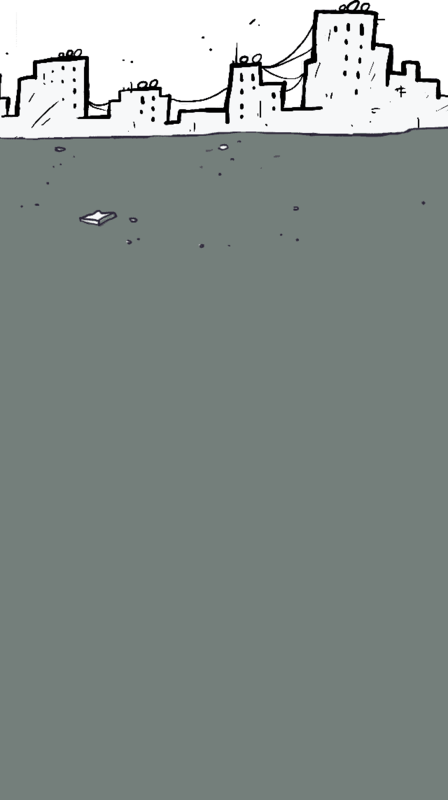 You could paint, for instance, a map to somewhere else, or even, if you preferred, a lazy tiger. Such an act would likely be seen as an infringement or invasion. This is the genius of Dunne’s work: she enters an accidental colonial archive, and through appropriating tactics of extraction and reinvention, manages to demonstrate the violation inherent to Egypt’s colonial encounter. By subverting the intention of these pods, she perhaps subverts, or at least complicates, the intention of the Giza Zoo at large. Perhaps informed by her background in visual anthropology, Dunne often manipulates archival material in her work, to sharp and striking effects. 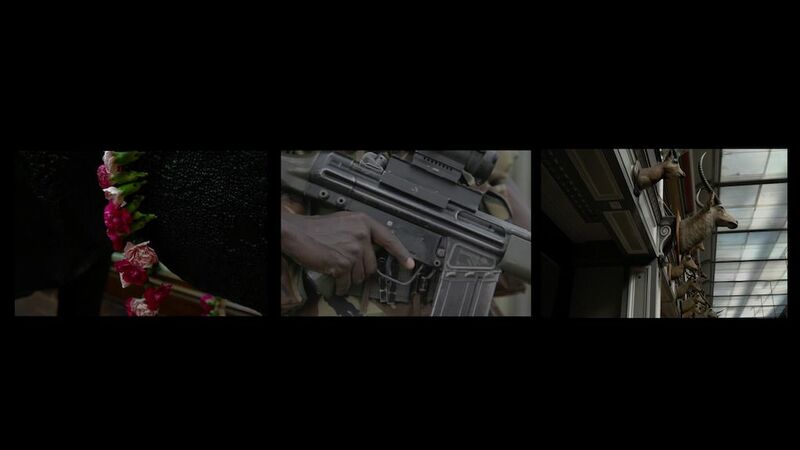 In the video titled “Bring Them Back Alive,” she intertwines found footage and images of plants and animals being uprooted, transported and manipulated, in a haunting commentary on the disruptive and derecinatory aspect of colonialism. 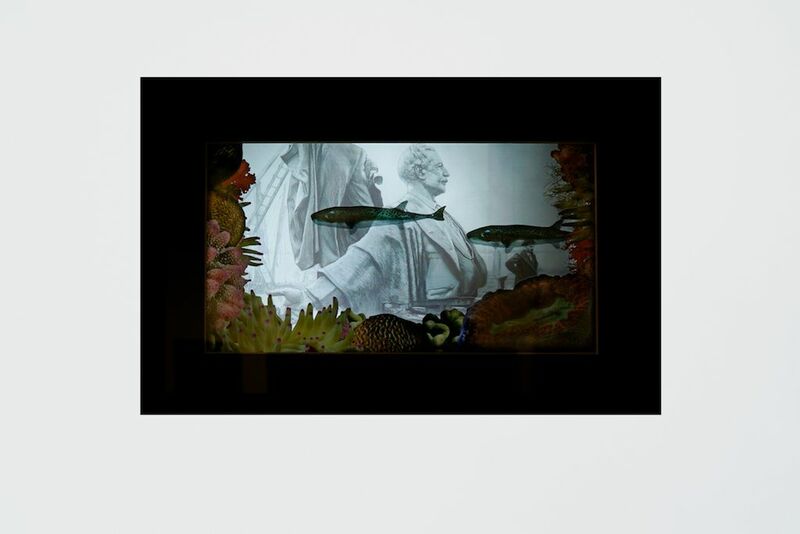 Meanwhile, In The Lessepians, image collections presented in small light boxes, she uses an assortment of archival images dating back to the inauguration of the Suez Canal. For layers, she integrates 19th-century drawings of sea species and found images of corals and botanical gardens, with rotating images of invasive marine species. Named after Ferdinand de Lesseps (the French diplomat behind the development of the Suez Canal) and known as the “Lessepsian migrants,” these species crossed from the Red Sea to colonize the Mediterranean, to irreversible impacts on the ecosystem. By creating these layered, aquarium-like surreal structures, in which marine species are between stillness and motion, Dunne manages to, once again, set up an unnatural space that begs reflection on the notion of invasion. My first encounter with Dunne’s work was Things Stay for a While, a film portrait of an ageing intellectual living in a dilapidated Cairo apartment, exhibited at Gypsum Gallery last year. After we spend time with the man in his apartment, we walk through downtown Cairo’s streets before we enter the Agricultural Museum, where, at the very end of the film, a taxidermied bird on display scratches an itch behind its ear and takes flight. Unimposing, slow-moving and gripping, the film captures something very real about Cairo — perhaps its unpredictability and slight magic. 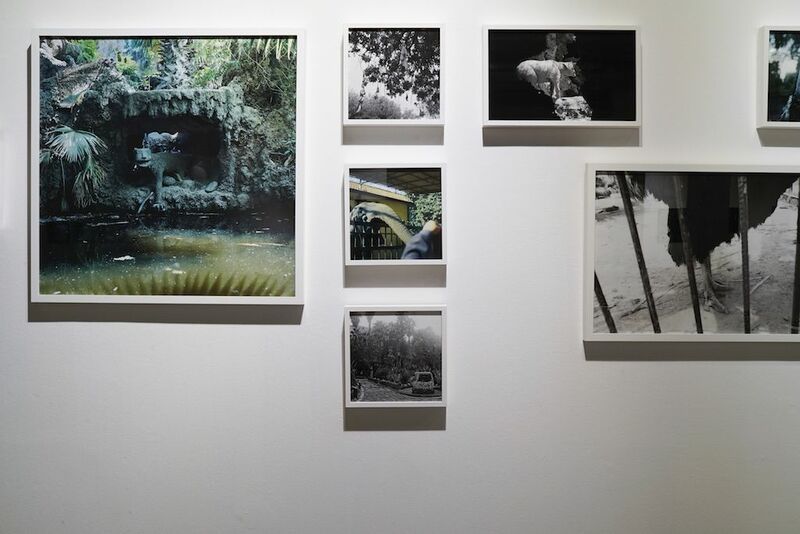 Dunne’s works in My Dear Friends engages with the Giza Zoo — and by proxy, with Cairo — in similar ways. Looking at her painted seedpods or the layered light boxes, you find yourself questioning where reality ends and fiction begins. Her work invades the reality of Cairo, in effect portraying just how the city — past and present — invades the lives of its people. Sara Elkamel | Instead of the outside world of Cairo, we’re seeing the inside world of Huda.